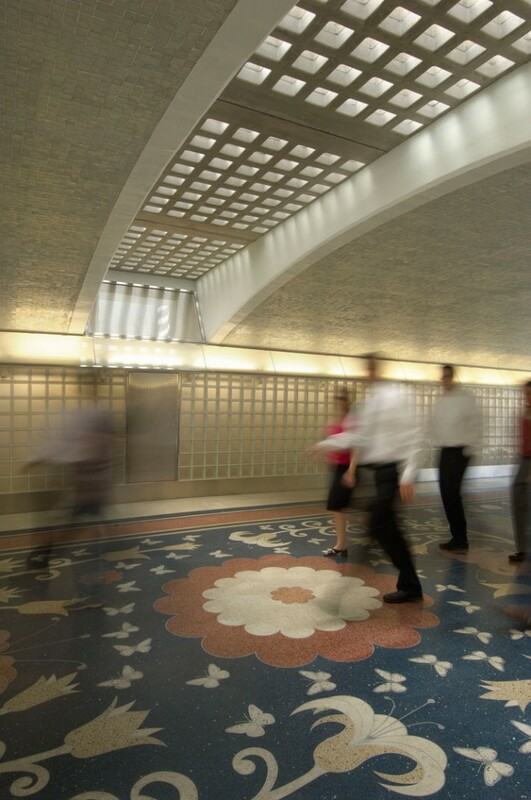 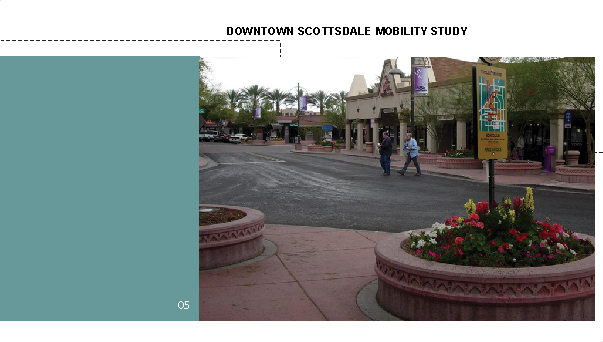 The firm assessed and analyzed existing conditions for pedestrians including walkway widths, surfaces, lighting, and obstructions with recommendations and prioritization for improvement, along with generating a list of ten projects for future capital improvement programming. 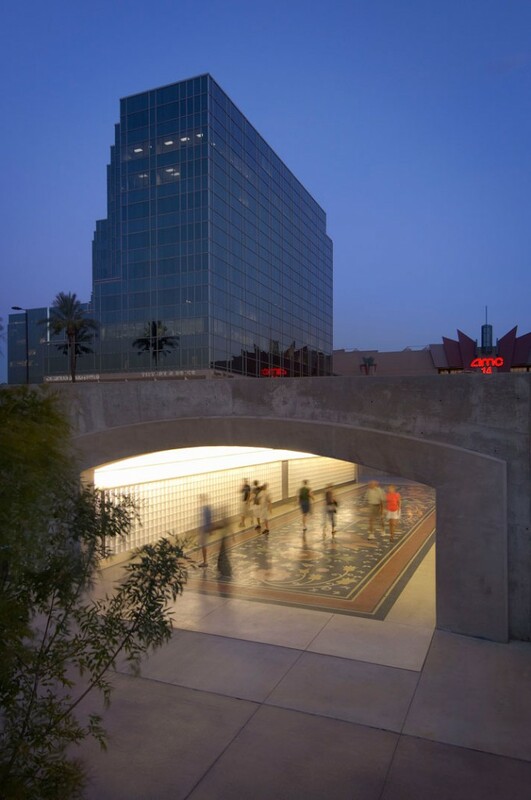 camelback pedestrian underpass and streetscape, city of phoenix. 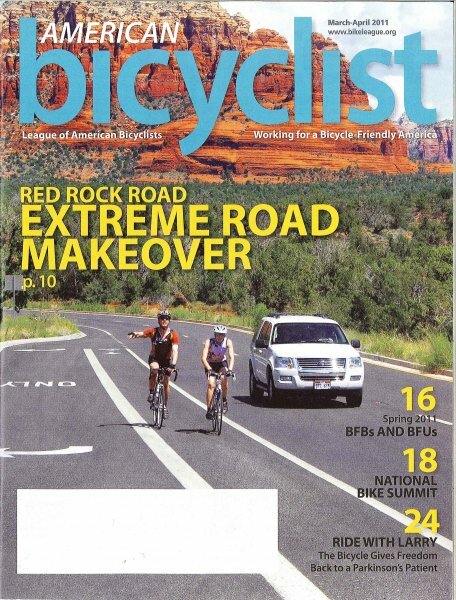 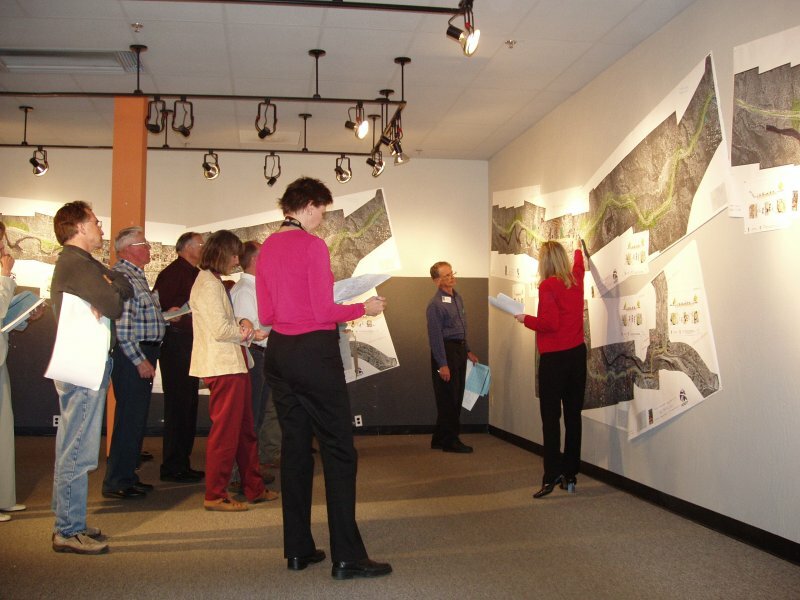 We served as the planning coordinator for the nine-mile scenic roadway improvement project successfully using the Context Sensitive Solution program. 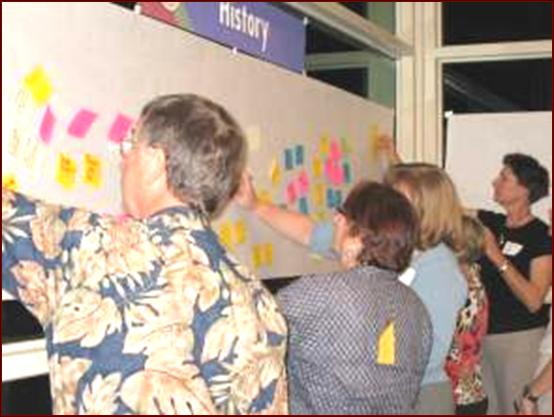 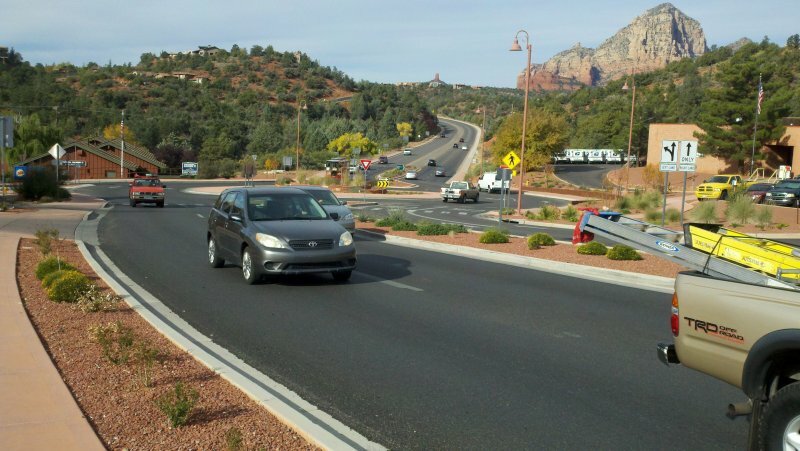 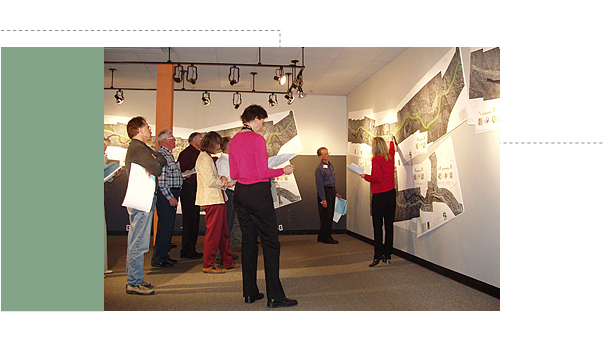 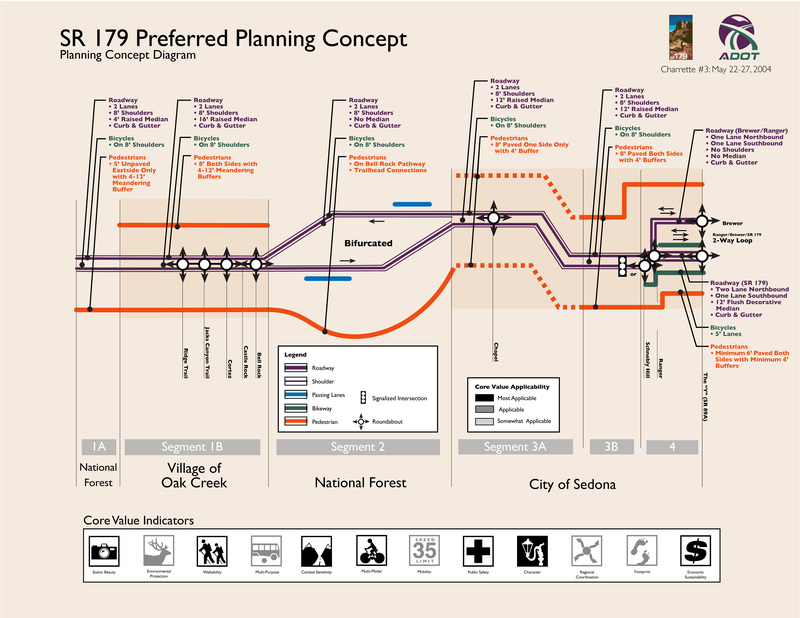 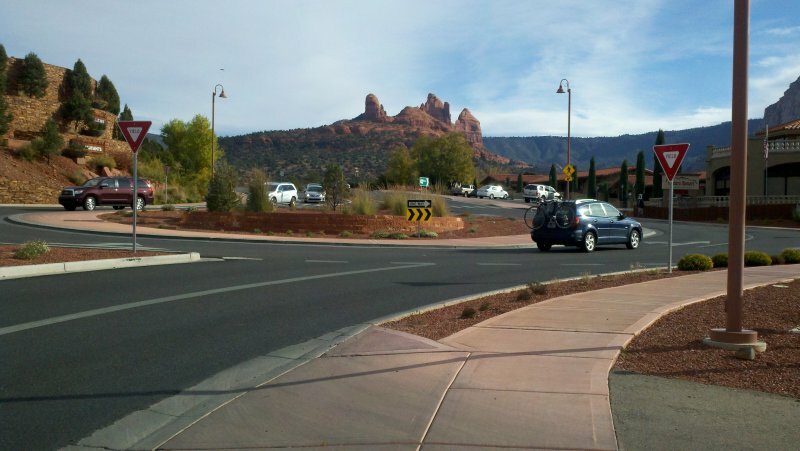 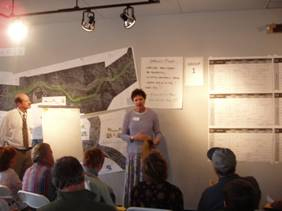 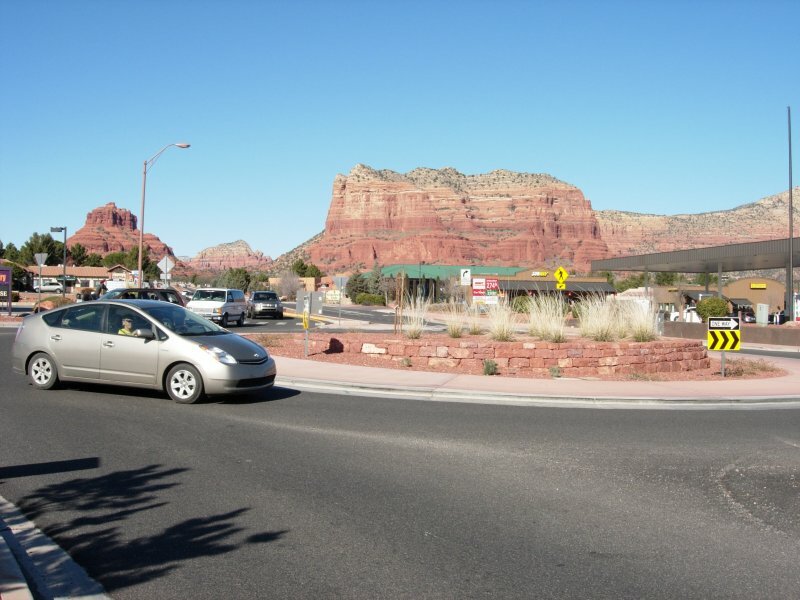 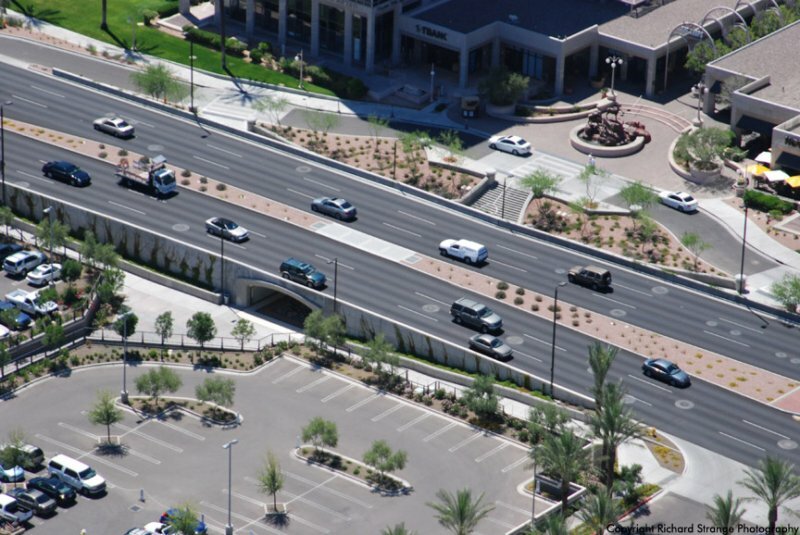 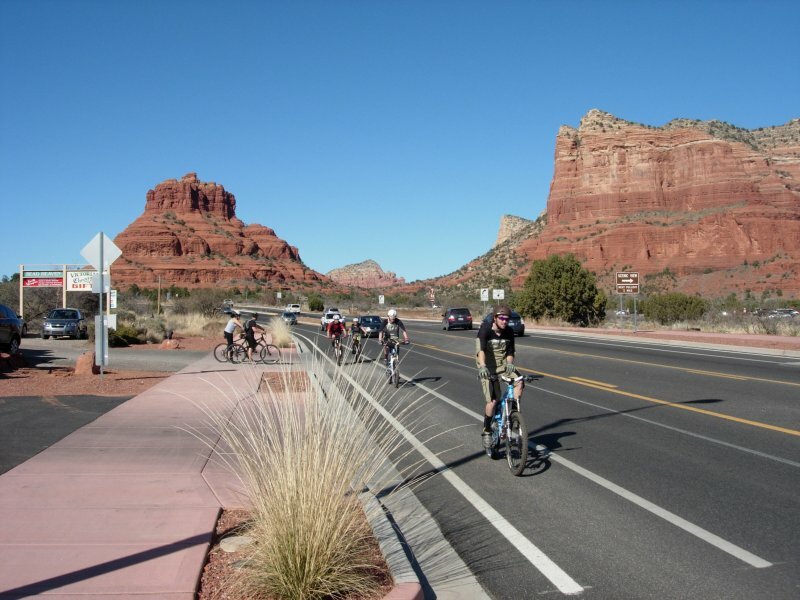 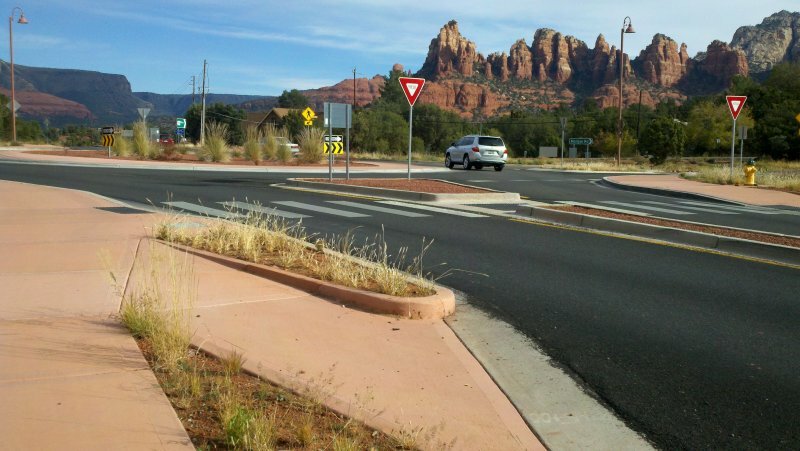 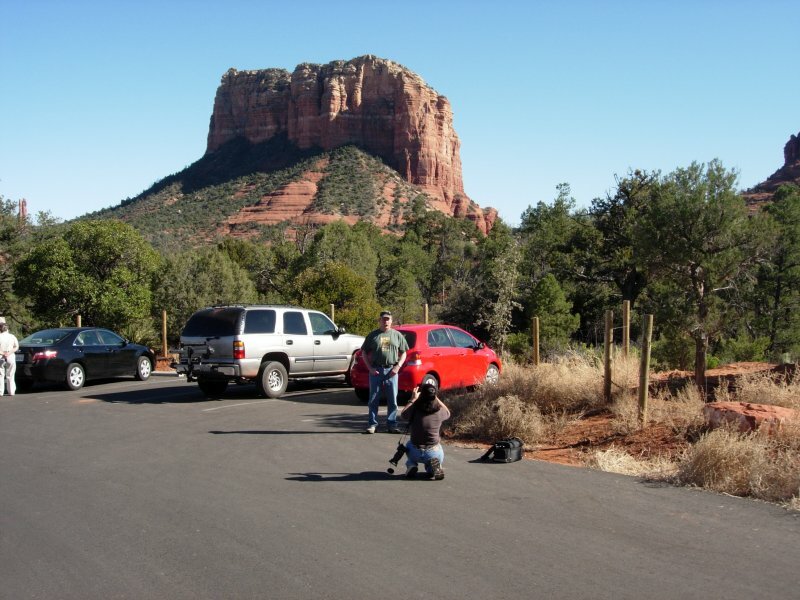 Our services included charrette facilitation; presentations to the community and design advisory panels; coordination with stakeholders such as Coconino National Forest, Big Park Regional Council/Yavapai County, FHWA, and City of Sedona; and preparation of urban design studies. 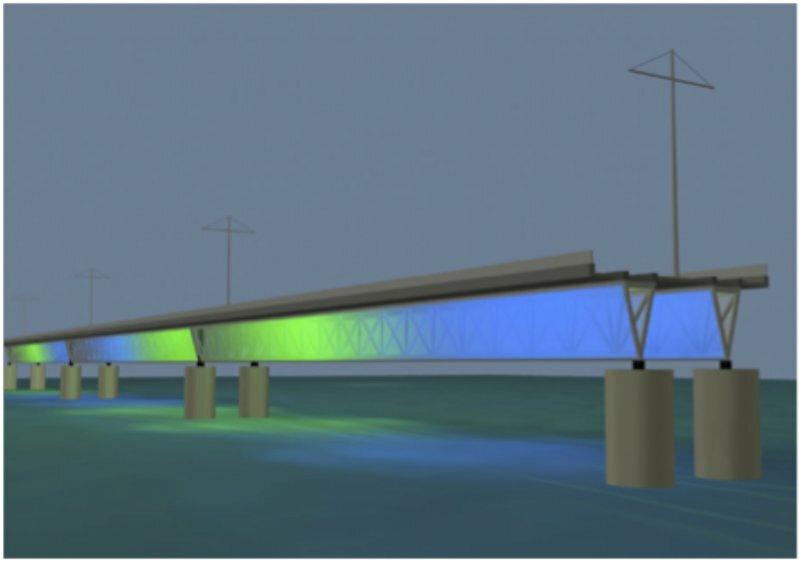 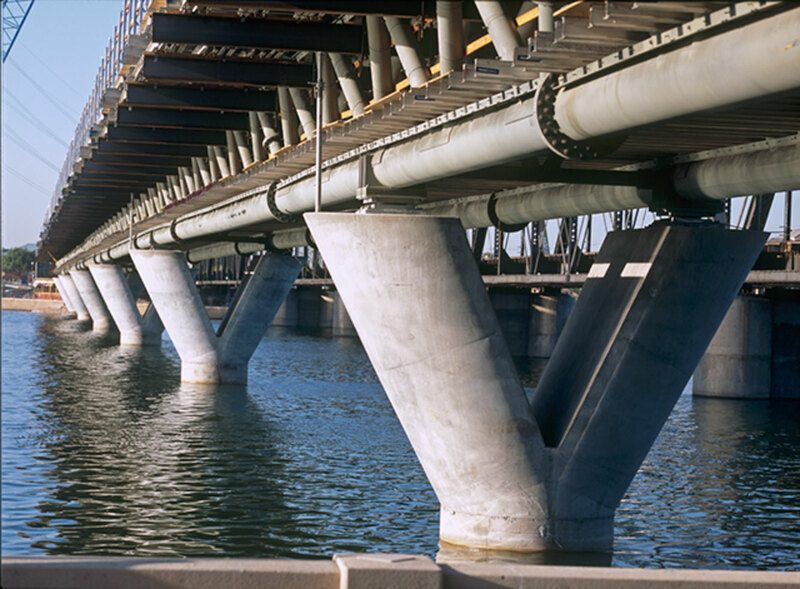 During preliminary studies, the firm participated in team workshops on the bridge design, public participation, and presentations to 11 boards and commissions. 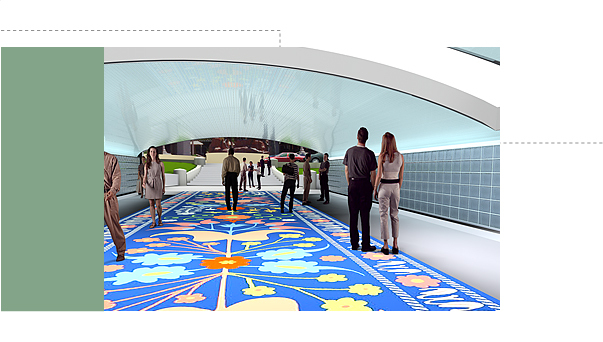 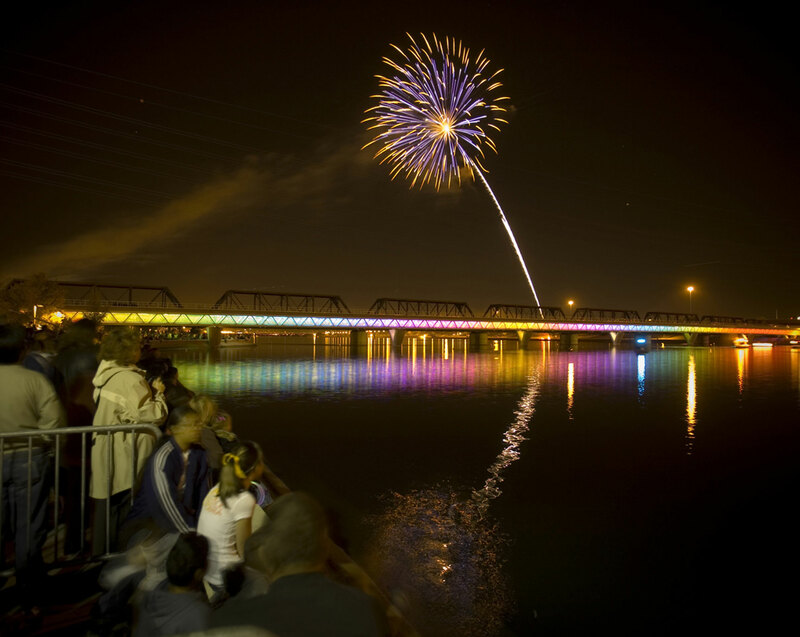 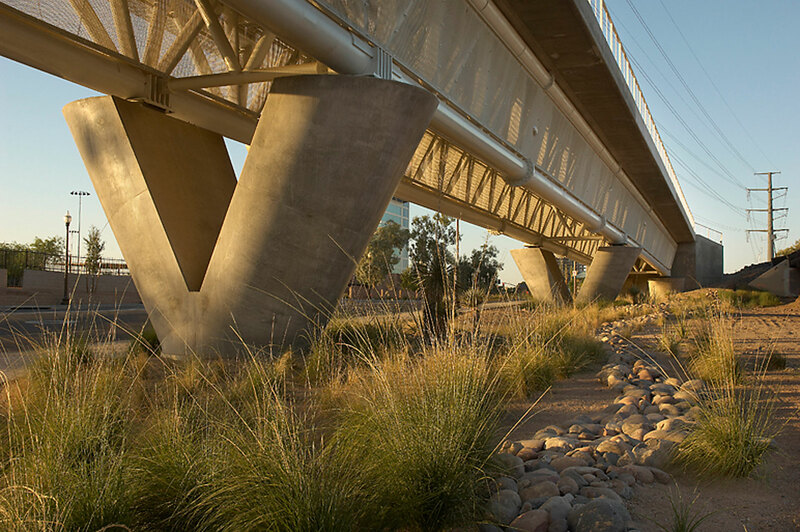 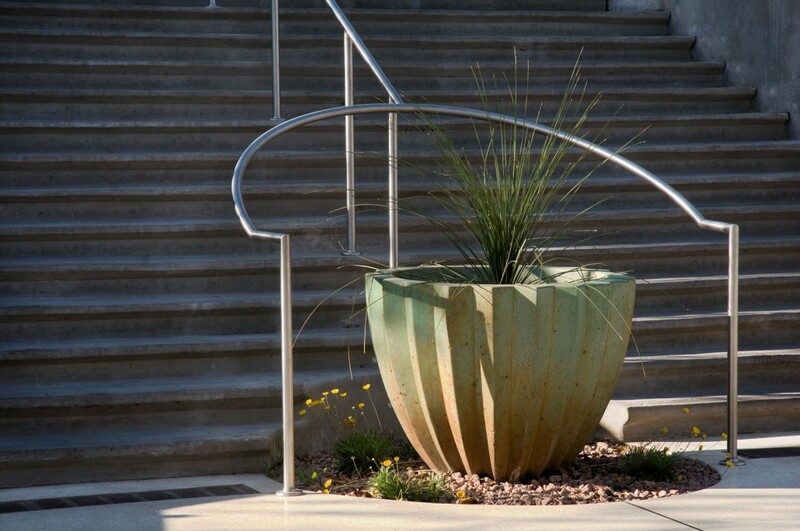 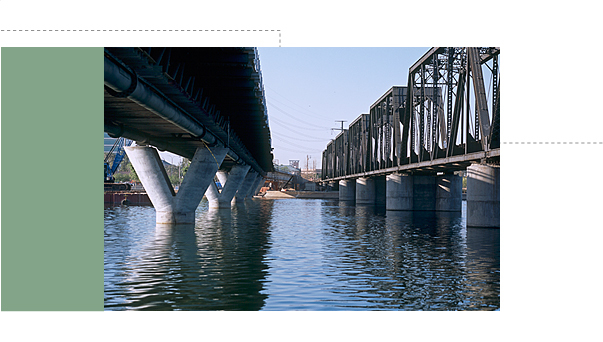 During the design phase, the firm collaborated with bridge engineer TY Lin International and artist Buster Simpson to determine form, materials, and intent of public art effort for the light rail bridge.